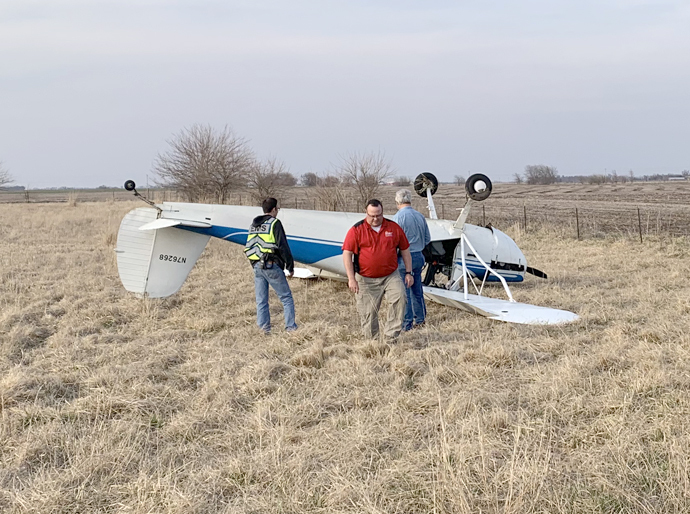 On March 26, 2019, about 1723 central daylight time, a Cessna 140 airplane, N76268, nosed over during a forced landing near the Newton City/County Airport (EWK), near Newton, Kansas, following a loss of engine power. The private pilot was uninjured. The airplane sustained substantial wing and empennage damage. The airplane was registered to and operated by the pilot as a Title 14 Code of Federal Regulations Part 91 personal flight. Day visual meteorological conditions prevailed in the area about the time of the accident, and the flight was not operated on a flight plan. The local flight originated from EWK. 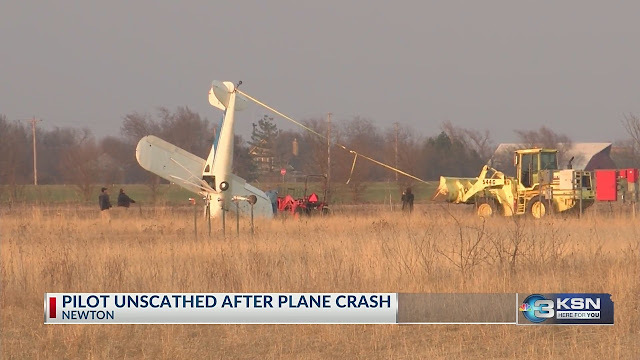 According to initial information from the Federal Aviation Administration (FAA), the pilot reported a loss of engine power during an approach to EWK. This was the first flight after an annual inspection of the airplane. The airplane landed short of EWK in a field and nosed over. 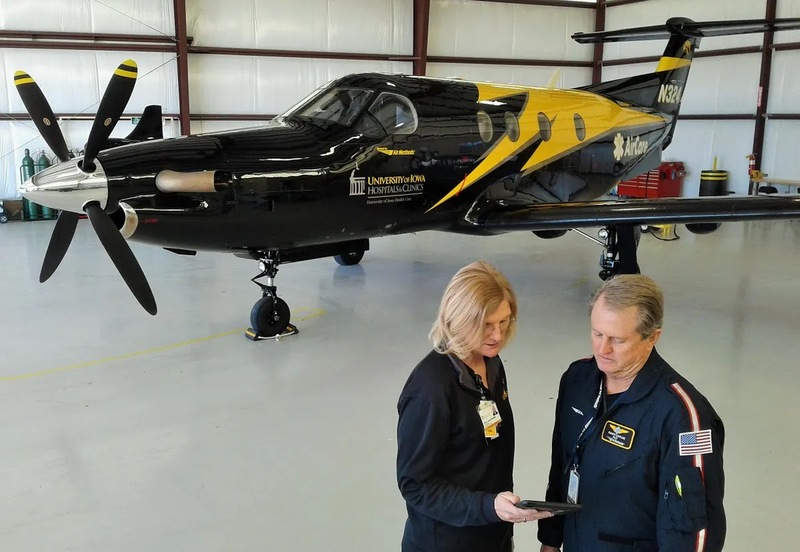 An FAA inspector examined the engine and found that he could only rotate the propeller through 270° of rotation. NEWTON, Kansas (KSNW) - Emergency crews responded to a plane crash in Harvey County Tuesday. The Kansas Highway Patrol said a Cessna 140 suffered total engine failure at a low altitude and low speed. The 68-year-old pilot, identified as Billy V. Patton from Wichita, attempted to land in a field north of the runway at Newton City-County Airport. The plane touched down just prior to reaching a fence. It struck the fence and a small tree. The Cessna flipped over the nose and came to rest on the top.